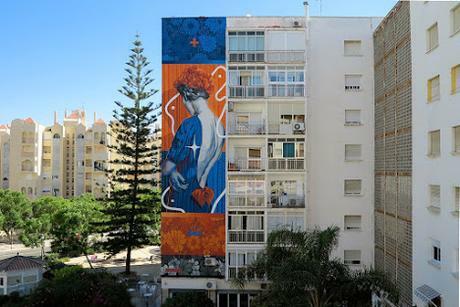 LLEGANDO A TU DESTINO (arriving at your destination in English) is the name of the new mural of Dourone in Estepona, Spain. 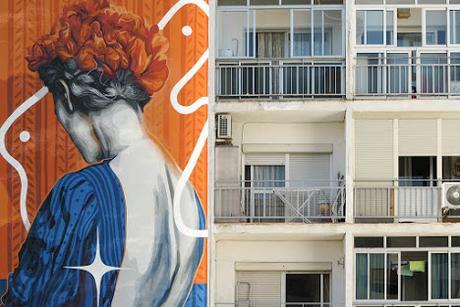 This mural depicts a woman from the back about to arrive at her destination. The flowers an element very present in this work was inspired by the area. The values of Respect, Diversity and Freedom continue to be ubiquitous through the various symbolic. 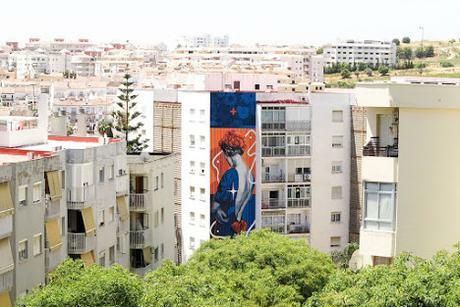 This 21-meter high mural can now be enjoyed in the Andalusia city of Estepona. Images via the artist.